There’s little in life that’s more stressful or inconvenient than having to deal with a fault with your car. First, there’s the issue of determining exactly what it is that’s gone wrong. Then, there’s the hassle of having to find a solution. And all the while this process is ongoing, your day to day routines are seriously disrupted, making it extremely difficult to get to the places you need to be at the times you need to be there. If you’re currently in this situation, and the part you need in order to fix the problem is a Toyota Land Cruiser alternator, then you’re in luck: here at Cars R Us, we’ve built a solid reputation in the car parts industry for providing some of the very best quality products available on the Australian market at highly competitive prices. 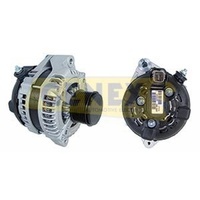 But before you can determine whether or not it’s definitely an alternator that you need, it’s naturally important that you know exactly what an alternator is and what it does – knowledge which a lot of car owners lack. 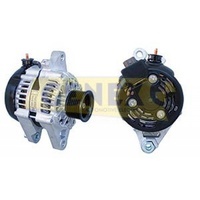 Essentially, the alternator is responsible for transforming the mechanical energy produced by your car’s engine into electrical energy which can be stored in the vehicle’s battery and used as and when the various electrical systems require power. Many people are unaware that their alternator is damaged or broken until it’s too late, and they only find out when they try to start their car’s battery up one day only to discover that it is completely flat. Of course, this leads to many people falsely presuming that the battery is broken – when in fact, quite often, it is really the alternator that is to blame. In order to avoid this situation, there are a few tell-tale signs you can look out for, such as headlights which pulse with brightness, a faint squealing sound and, naturally, the lighting up of the battery warning light. If you’ve determined that your car is in urgent need of a new alternator, you’ll be pleased to know that you don’t have to waste your time going from garage to garage in search of the correct part. Instead, just browse the products here at Cars R Us and you can be sure you’ll find the high quality, high output alternator Toyota vehicles such as yours require – and you can be equally confident that it’ll be in stock and available at a highly affordable price. Once you’ve placed your order, we’ll dispatch it right away from our premises here on Queensland’s Sunshine Coast. It will promptly be delivered straight to your front door, anywhere in Australia, at no extra cost to you. So whether your car’s alternator is already broken, or whether you’ve started to notice the first signs of a problem and you want to nip it in the bud early, simply place your order online on our intuitive e-store today – or get in touch with a member of our team to find out more information about absolutely any of our products or services.